I've been a little slow with my Online Guild workshop project, but I do have some progress to report. 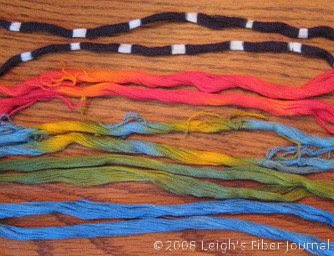 The top is my black and white ikat warp, and the next three are the my painted warps. Actually, the 3rd and 4th ones are the same warp. The 4th sample shows how the colors ran together too much. On the bottom is a blue one that I dyed in a dyebath. For this project I'm going to use all the but red one. The first step was to put them on the lease sticks and get them to the loom. However, since I had dyed these three yard warps unchained, I decided it would be better to chain the bouts, lest I end up with a tangled mess. Rascal wasted no time in volunteering to "help." Any yarn movement was quickly pounced upon! .... he had patiently parked himself right on top of the unchained bouts. 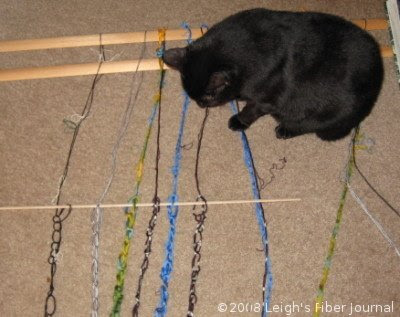 looking forward to your first weaving - I think it'll look smashing with those strong colours! He is very patient. No balls of yarn pushed about. Seems nothing has moved from it's original spot. Keep that cat! You'll never have mice messing with your warp. 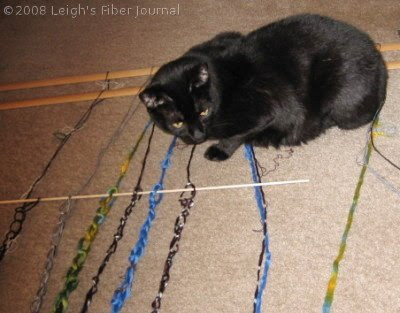 You would have been amused by the help I was getting with the knitting last week. The calico tried helping with cross stitching and figured out the needle isn't fun when it impacts toes. Looks like you both are having a great time with your warp! Too funny! Cats always seem to know where you DON'T want them! Nice new toy for Rascal. Looks like he's guarding them with his life. Rascal is doing a fine job as weaver's assistant. See how meticulous he is to detail? And oh my, what dedication. Your sweater is going to be soooo cool - can't wait to see it finished - we may have to have some professional enlargements of pictures of it to bring it along to fairs and such - what do you think? 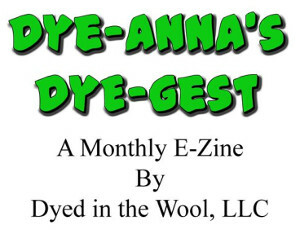 I have to get my church newsletter out, but hope to have a new post up for the weekend. Happy Thanksgiving if'n I don't get it posted. Head bumps and scritches to the four legged children. :-) T.